*Australian Native Herb & Spice from Australia Super Food Co.
Cook pasta for slightly less time. Drain, and put aside. Heat olive oil in a large saucepan over medium high heat, add in onion, carrots and celery until tender, about 6 minutes. Add garlic and saute 1 minute longer. Reduce heat to a low, add passata, stock, water, canned tomatoes, sugar, basil, oregano, thyme and Mountain Pepper Leaf* spice and season with salt. Cover with lid and allow to simmer, stirring occasionally, until veggies are soft, about 20 minutes. 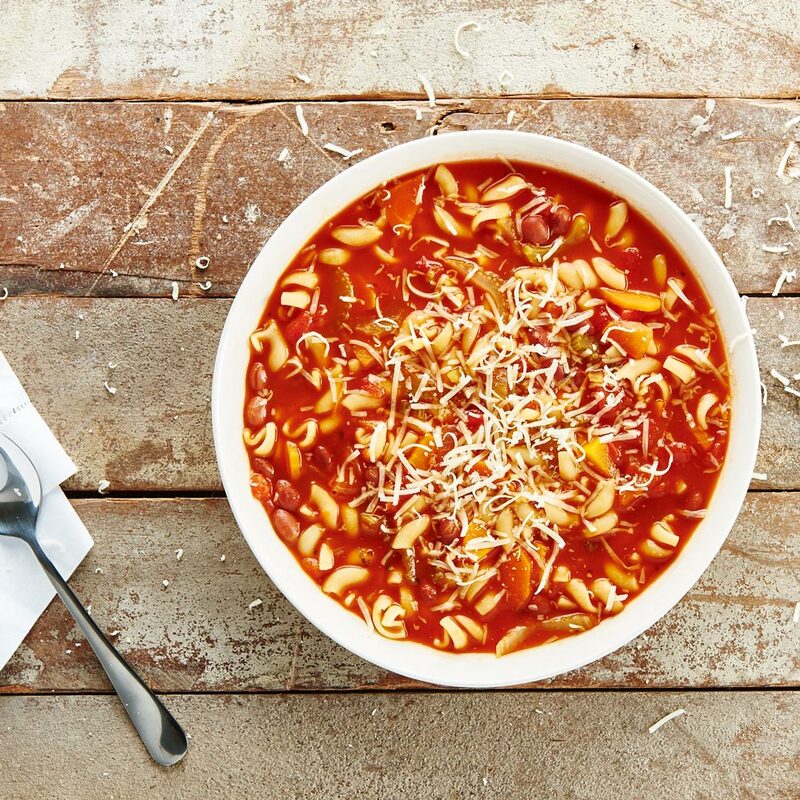 Add cooked pasta to soup along with the kidney beans. Thin with a little more water if desired. Allow to cook 2 minutes longer. Serve warm with grated Parmesan cheese and cracked pepper to taste.